Kansans have a strong desire for their legislators to focus on efficiency when it comes to state spending, this from the latest poll of Kansas voters. This isn’t to say Kansans wish to see spending cut with abandon. Kansans want a focus on public benefits when considering the budget. Unfortunately, it’s been hard to find a clear-eyed look at the budget debate thus far in Kansas. 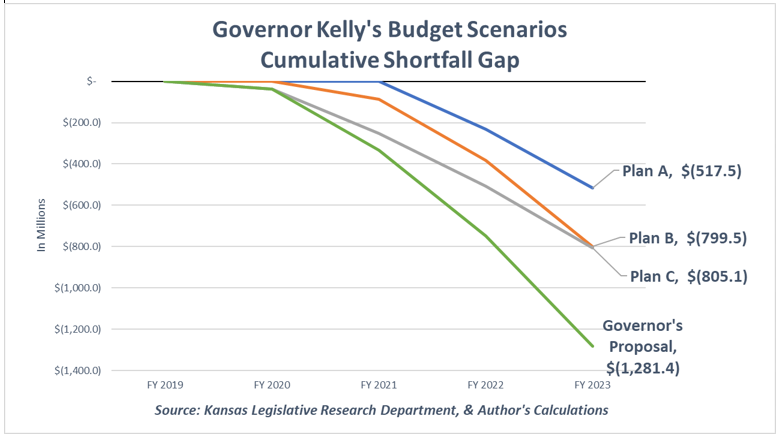 Read analysis of Governor’s budget shortfall here. Governor Kelly’s budget, like her predecessors, continues to spend more than it takes in and kick the reckoning down the road. This delayed reckoning and spending is on top of then-record sales and excise tax hikes in 2015 and a record-setting income tax hike in 2017. The new level of deficit spending means Kansans are on the hook for a $1.3 billion tax increase. In other words, the deficit is so large every Kansas taxpayer would have to pay at least $1,000 to close it. Most Kansas voters polled said no. Many scenarios and many variations of state spending have been discussed. Some have asked if doing away with the Governor’s proposal would remove the tax increase. Let’s call this Plan A. It would do away with all of the following; highway transfers, changes to PMIB loan proposal, other revenue adjustments, Gannon Remedy, state employee/judicial pay plan, other spending increases, Medicaid Expansion. KPI isn’t endorsing any “plans” but they do serve to highlight the main ideas being kicked around in Topeka. The answer, sadly, is no. A deficit of $517 million remains compared to the $1.3 billion shortfall of Gov. Kelly’s budget. Others have talked about keeping the biggest policy endeavors of the current budget; the increased funding on schools and Medicaid Expansion (Plan B). This plan would keep all the revenue changes, but do away with extra state agency and other spending. This results in a deficit of roughly $800 million. Would keeping highway transfers at the governor’s $238 million recommend level for FY 2020 (Plan C) pay for all of proposals? Sadly, no; that also leaves about an $800 million deficit. It is hard to find a budget approach that doesn’t lead to higher taxes. Kansas doesn’t have a revenue problem, it has a spending problem. We’ve graphed the proposals in the chart below. 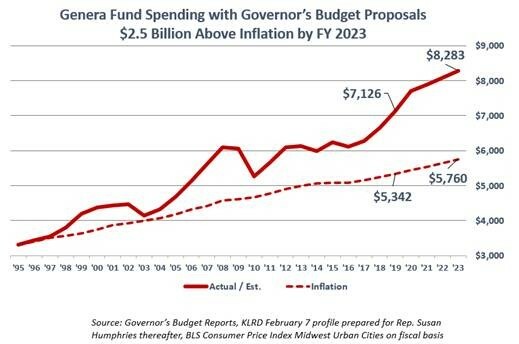 Critics of this analysis may concede that state spending is growing too fast for existing revenues…pushing the need for NEW (i.e., tax hikes) taxes. However they may find it justified through a belief higher state spending is a sign of progress. Spending taxpayer dollars is not a measure of success. Look at the chart below as an example. 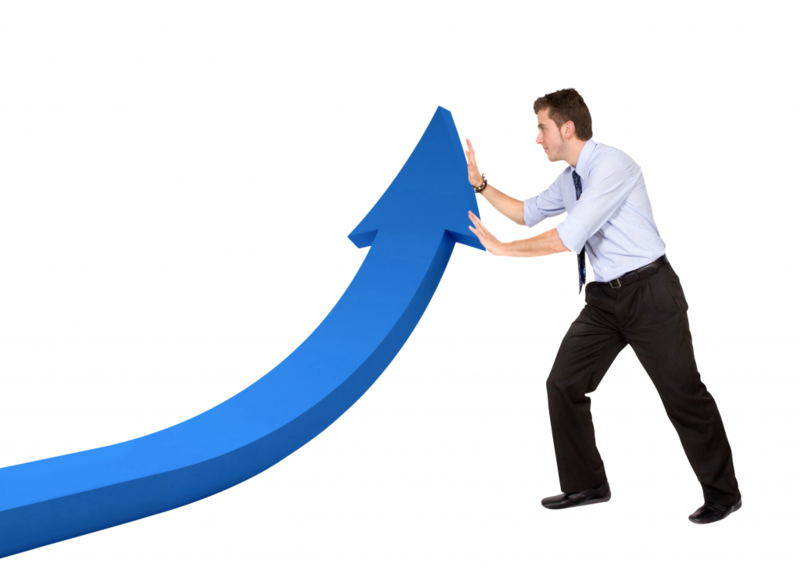 The state government has spent more than $2 billion dollars above inflation since 1995 . 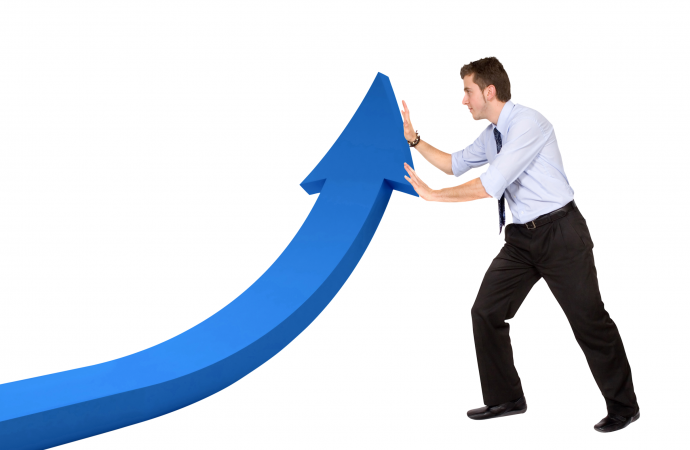 Yet the Kansas economy has grown slower than the national average over the same time. What is the state trying to achieve if Kansans’ economic well-being, relative to other Americans, hasn’t improved? Perhaps policymakers are unaware if spending lives up to expectations? If so, it’s no surprise if those same policymakers believe ballooning spending is the best we can do. Kansans deserve to see the progress their tax dollars are making, tying state spending to actual results and not intentions. Unless something changes, Kansas will continue to see unsatisfactory economic progress, record deficit spending and more tax increases.